Most marketers make stuff up. They sit in nice comfortable offices and imagine what interests buyers and then create “copy” and “campaigns” typically with the help of equally clueless agencies. But as I’ve said hundreds of times on this blog and in my books and live presentations, the more you know about buyers, the better aligned your marketing and sales becomes. The strategy of buyer persona research combined with journey mapping is an incredibly powerful way to rise above the competition. At a recent presentation I met with Paul Mlodzik, Vice President, Marketing and Communications at The Co-operators Group Limited and learned how he has implemented buyer personas and journey mapping. 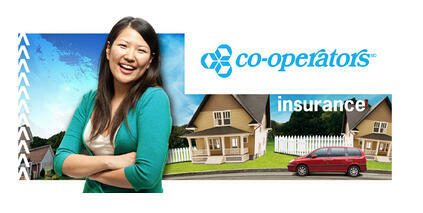 Indeed, The Co-operators is among the very best examples of marketing strategy based on understanding buyers I’ve ever seen. This blog post is about how the Co-operators Group implemented buyer personas and later this week, I’ll publish a follow-up on how they use journey mapping. The Co-operators Group Limited is a Canadian-owned co-operative with more than $40 billion in assets under administration. Through its group of companies it offers home, auto, life, group, travel, commercial and farm insurance, as well as investment products. The company sells to people from all ages and backgrounds and is both a B2C and B2B marketer. The first step was identifying discrete buyer personas and then interviewing representatives of each group. This kind of one-on-one telephone or in-person research is time consuming but when done well yields incredibly valuable information. To help with the process, Paul and his team worked with Forrester Research. To ensure that Paul and his team are completely dialed into each persona, they named each and then created very detailed profiles used by the team to create their marketing strategies. So that others in the company are aware of personas, they created posters out of them, which are located around the company offices. 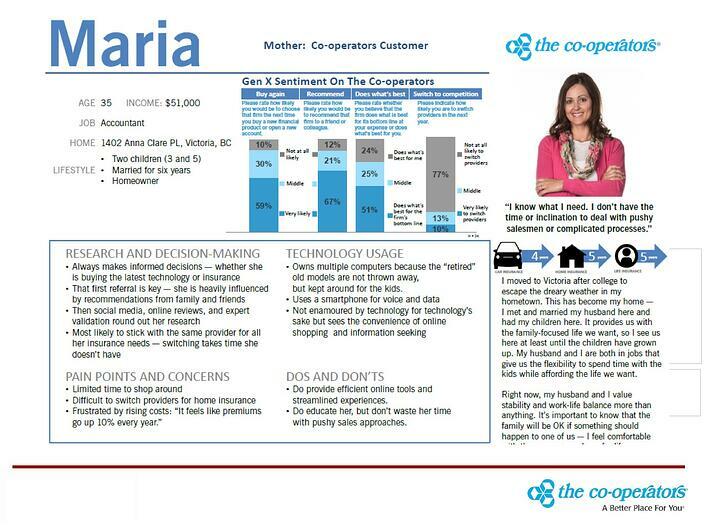 Maria, whose short buyer persona profile is below, is an example of the sort of detailed information that Paul and the team learned by speaking with many people who are representatives of the persona. They have also created an interactive persona exhibit which will be touring offices across the company. The confidence that Paul and the team developed through research means that he can focus on only the most important strategies and tactics. It gets them away from the “list marketing” that so many people do when they are unclear about the best way to reach buyers. Later this week, I’ll post more of my talk with Paul so we can learn how he does journey mapping.